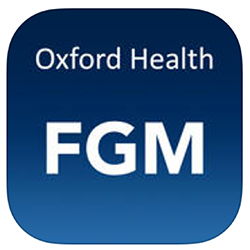 Layla Haidrani reviews an app designed to help healthcare professionals talk about FGM. A public health nurse at Oxford Health NHS Foundation Trust developed the Let’s Talk FGM app using funding from her Mary Seacole Leadership Award. She won the award last year for her design for an app that helps health professionals talk with clients about FGM. The app includes information on why FGM occurs, the legal issues involved and how to protect children. It also features video interviews with FGM survivors, campaigners and health professionals and offers local support. It includes soundbites about the impact of FGM in six languages – English, Somali, Swahili, Arabic, Tigrinya and Mandinka. This allows the app to be client-led, with information tailored for each person. Healthcare professionals can use this app to help them make sensitive enquiries to patients about FGM. Community and campaign groups may also find it useful. Let’s Talk FGM is only available on iPad.